There are many choices of pet ranging from feline like cat, exciting mammal like dog, to cute rabbits and domestic poultry. However, the one known to be very communicative to human is a bird. One of birds known as the talking bird is cockatiel. It is one of bird species that is very ideal to keep at your apartment and your small house. This bird generally has pretty appearance with colorful feathers. Cockatiel is slightly different than its cousin parrot. 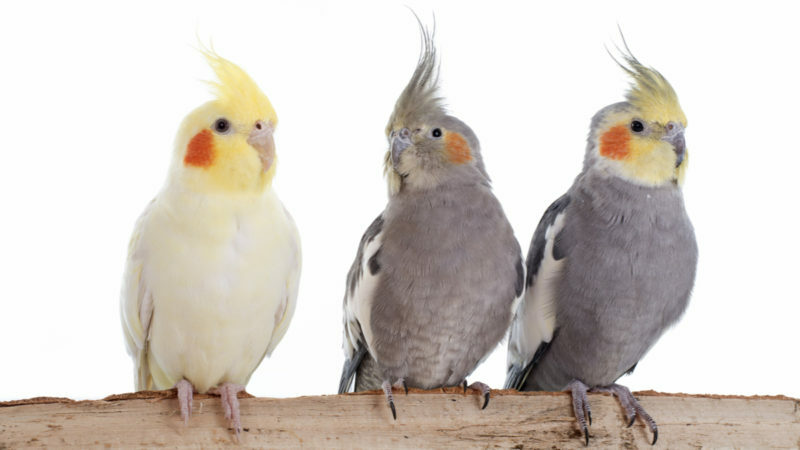 While parrots are more popular to its brash and talkative personality, there are some advantages of keeping cockatiel as your pet. What are those advantages? Let’s see how it can benefit you if you decide to adopt a cockatiel. There are advantages that you will get if you choose cockatiel as a pet. Everybody loves a pet in which it can sync with its owner’s personality. Moreover, bird with gentler nature tends to be easier to tame. Fortunately, among birds, cockatiel has gentler and therefore easier to manage than parrot. Cockatiel, especially the young one, is on their peak of vitality that can attract many people along with its easy-going personality. With a more acceptable disposition, you will find them more entertaining than annoying. What is better companion when you are alone than a talking bird? While you cannot possibly interact with a cockatiel the way you interact with other human beings, cockatiel has the ability to mimic sound just like parrot. Interestingly, you can train your cockatiel to speak and mimic words that you often say just like you can train cat to obey your command. Especially if you choose to adopt young, male cockatiels as they love sprouting words to attract potential mate and to get their master’s attention. Not only cockatiel can talk, it is also able to pick up tunes and sing. Surely you are not going to find a cockatiel that can sing like human. However, their ability to harness their vocals will give you amusement. Moreover, they are quick to learn notes from repetition, especially young cockatiels. You can teach them to sing from a song played near the cage or whistle some tunes near it. If you keep doing it, your cockatiel will eventually copy the tunes and singing by itself. Compared to other avian species, cockatiel has ideal built as it is not as big as parrot and only need half the cage of a parrot. As they also have gentler nature compared to parrot, you will not find it to go berserk easily. The compact size of cockatiel is also ideal for those who want to keep a bird without taking much space in the house. You can also place more toys with smaller size and enjoy it playing with the toys in ease. Smaller cage is also easier to carry around rather than the bigger one. Owners can have more than one cockatiel without having to waste space on caging them. It will be different from exotic bird paradise. Another advantage of keeping cockatiel as your pet is, it is generally a social butterfly that likes to interact with its master. Even though it cannot talk as fluent as a parrot, it is easier to create attachment and link a bond between them. Their gentle nature helps them to recognize and appreciate any affection their masters give to them. In return, they will also shower their masters with affection by following their commands or by doing some stuff their masters like. Thus, you can feel closer to it and maintain healthy relationship with them. While having a bird that can sing or talk is very amusing, if it keeps doing so for continuous period, you may get some of your neighbors knocking on your door complaining about the noise. This happens often to parrot with its chatty disposition. However, it is different from cockatiel. You can keep it in your apartment without worrying about neighbors coming after you. Only male cockatiels have more tendencies to talk, and if their masters are not around, they do not talk much. While the female cockatiels generally are quieter than the male ones, having them will not be too noisy. Also try some good bird species by get closer with bondol eagle. While you still need to be careful with jewelry or any easy-to-shred materials near a cockatiel, it generally has friendly nature. It is not too often to see a cockatiel being hostile to human. In fact, when they are used to human setting, they can be friendly to everyone, even if the people are not their owners similar to a dog. Cockatiel can perch on someone’s shoulder without hesitation, or stay in your company for a long time. While they do like being outside the cage, they will not run away easily especially if they already grow fond to their masters. Healthy diet is important to all animals and cockatiel is no exception. However, cockatiel is not picky eater where it only chooses one source of human food. Generally, cockatiel loves greeneries such as green vegetables. It also likes to devour yam, sweet potato, and squash. Basically, any green and fresh vegetables will do well for them, especially if you treat them since they are young. It will be easier to get used to any diet. The only food that does not really fall on cockatiel’s favor is fruit. After knowing 8 advantages of keeping cockatiel as your pet, you fill find more joy to keep it as your companion at home. Surely, there are some disadvantages as well coming with adopting any animals. They tend to have long life span with common age ranging from 15 to 20 years. However, parrot has it longer and it means you will need more budget to take care of them. If you want to have a bird as your pet that can talk or sing but is not as brash as parrot, cockatiel is a good choice.